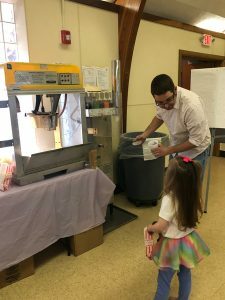 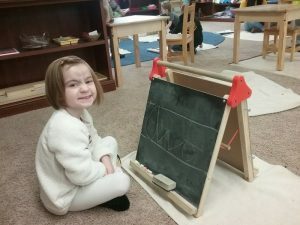 Posted on March 18, 2019 at 10:07 am. 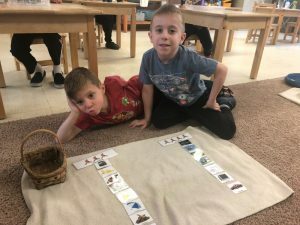 Plants and Flowers: The students learned how plants grow in many places: parks, forests, yards, fields, deserts, lakes etc. They discovered how all plants need sunlight, water, air and food to grow. 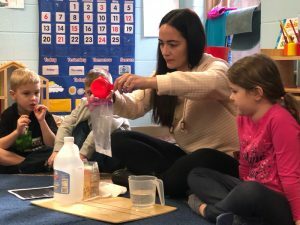 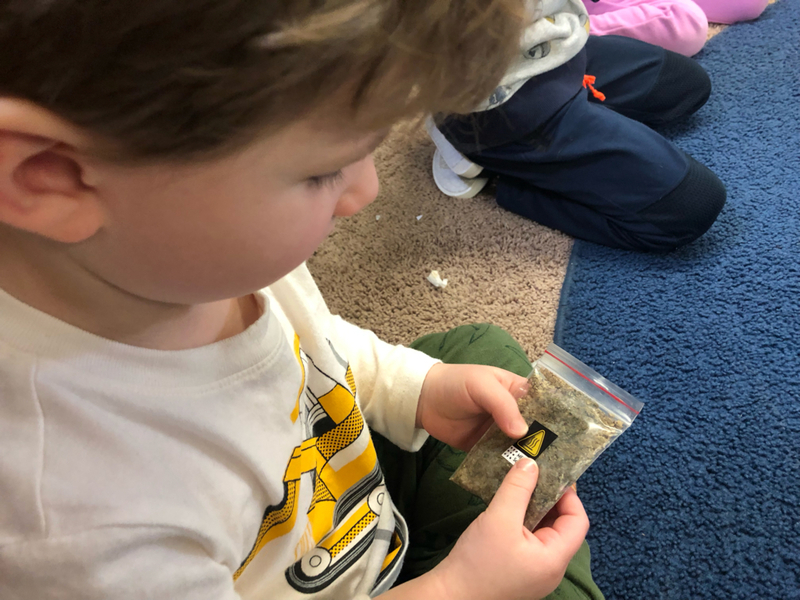 The students also learned the different parts of plants and their purposes. For example, the stem helps move food and nutrients through the plant or flower in order for it to grow. Object to Picture: This child is developing pre-reading skills by matching the objects to the corresponding pictures. 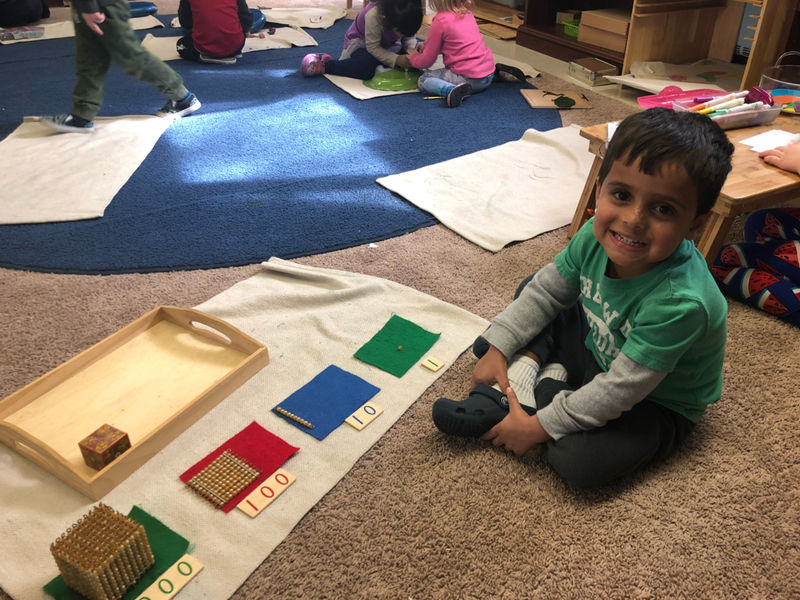 Nine Layout: These children are becoming familiar with the names and relative sizes of the categories: units, tens, hundreds and thousands. They are also discovering that if they have 6 units and adds 1 more unit they will have 7 units. 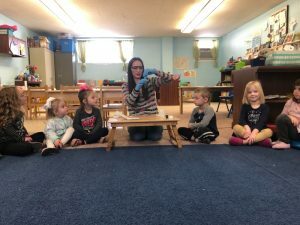 Posted on March 3, 2019 at 11:29 pm. 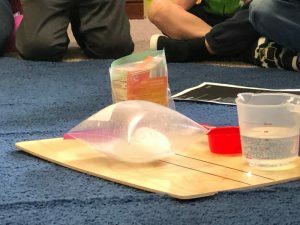 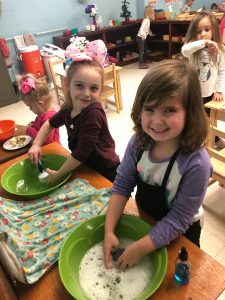 Dental Hygiene: The past week we discussed how different foods and drinks can affect our dental hygiene. 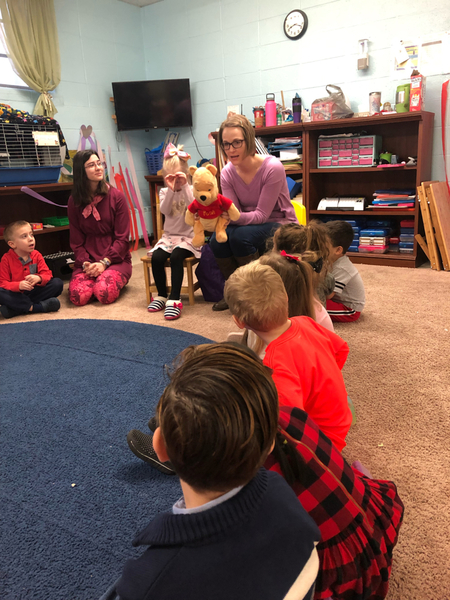 We learned that our teeth get sad and full of tooth decay from sweets and soda and get happy and shiny and bright from brushing and eating healthy foods. 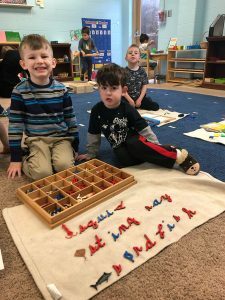 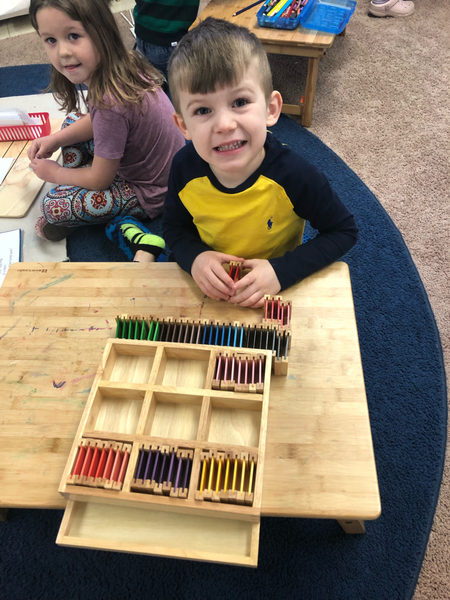 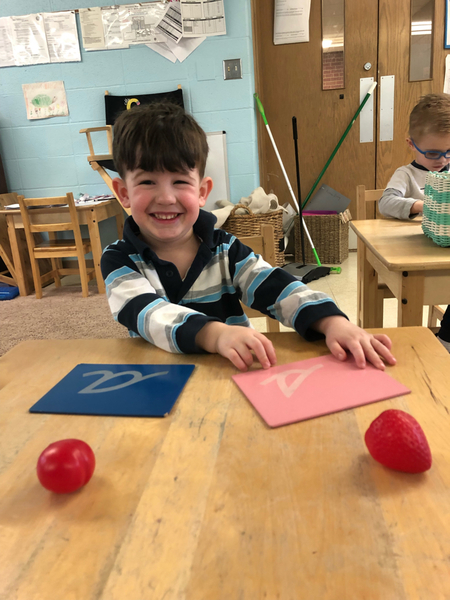 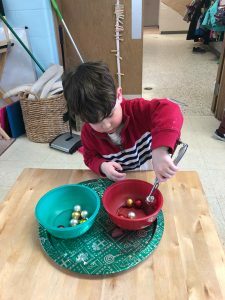 Sandpaper Letters: This child is tracing and identifying the sounds of the letters ‘s’ and ‘a’ and connecting the sounds with the sounds in different objects like strawberry and apple. Bead Frame: This child is using the bead frame to do static and dynamic (exchange) addition. 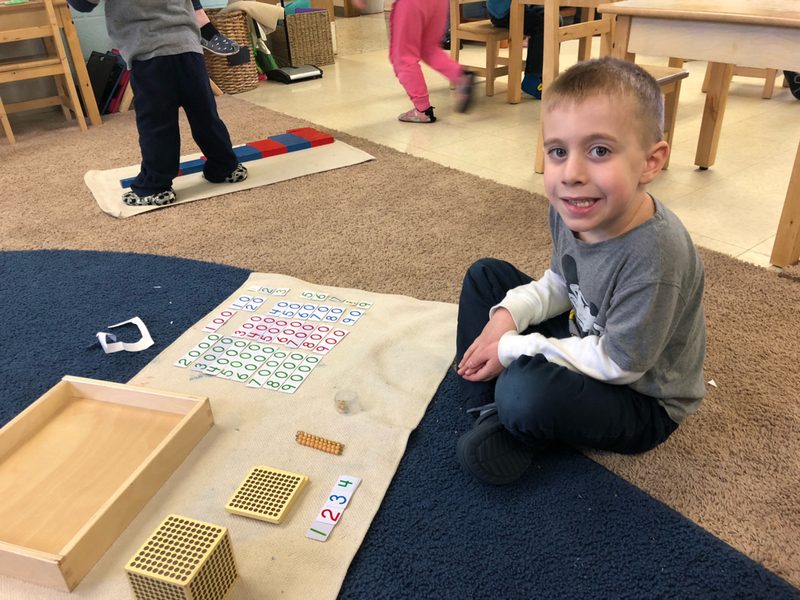 It is a more abstract way to work with the decimal system. She is also familiarizing herself with the different categories: units, tens, hundreds and thousands by looking at it in a different way. Land/Air/Water: This child is sorting and naming objects that you would see in the sky, on the land or in the water. 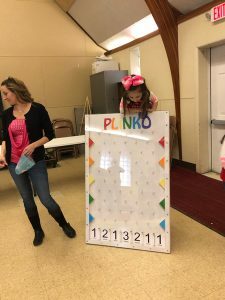 Posted on February 25, 2019 at 3:17 pm. 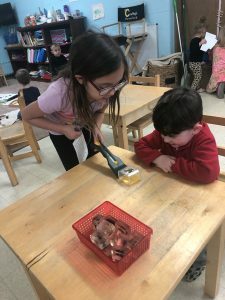 Presidents: We talked about how we celebrate Presidents Day every year. 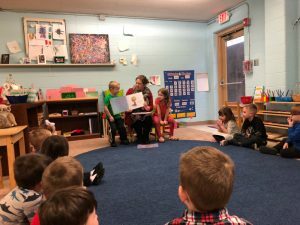 The students learned that the president is the leader of the United States of America and that he cares a lot about our safety. 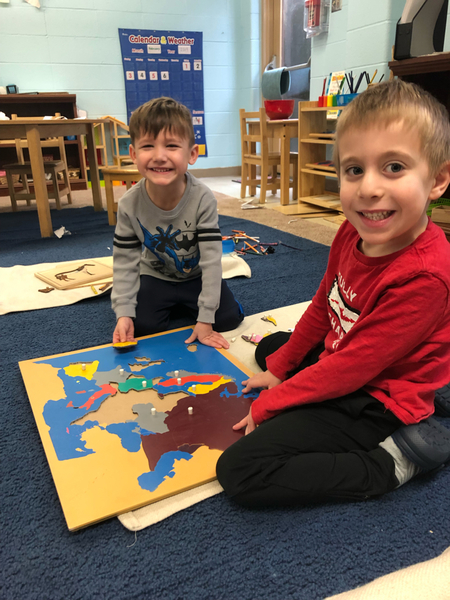 They discovered that George Washington was our first president and Donald Trump is the current president. 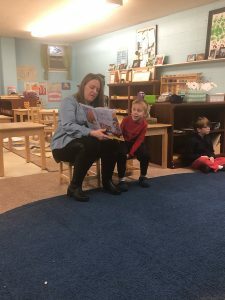 We even talked about Abraham Lincoln and Thomas Jefferson. 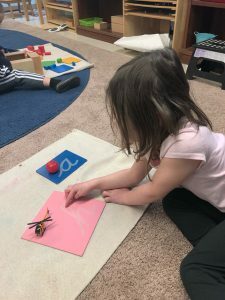 Sandpaper Letters: This child is tracing and identifying the sounds of the letters ‘j’ and ‘ie’ and connecting the sounds with the sounds in different objects like jet and pie. 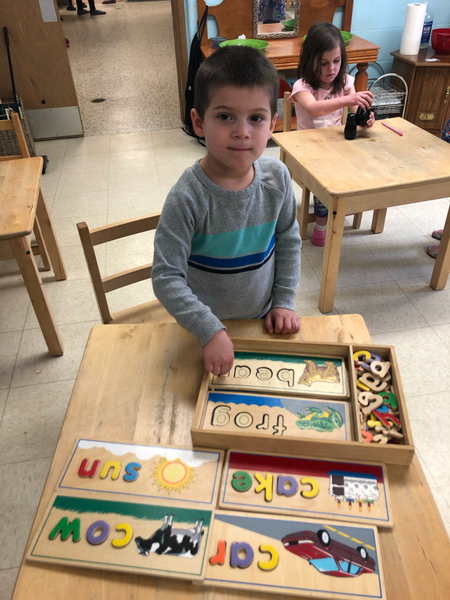 Movable Alphabet: This child is saying the words of different objects and phonetically spelling them: cat, hat, web, log and dog. Posted on February 18, 2019 at 11:44 pm. 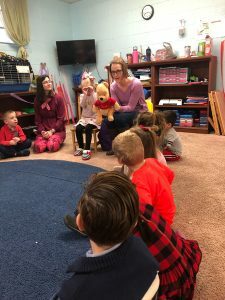 Pets: We learned that a pet is a companion animal. 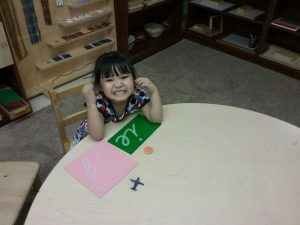 Which means he/she is kept for a person’s company, protection or entertainment. 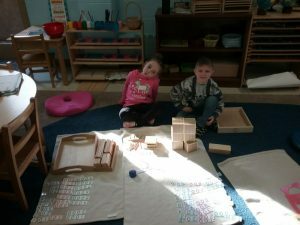 We talked about how the two most popular pets are cats and dogs. 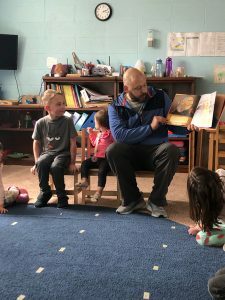 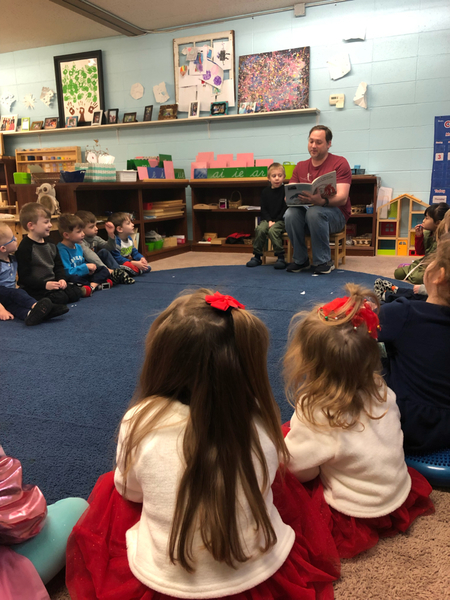 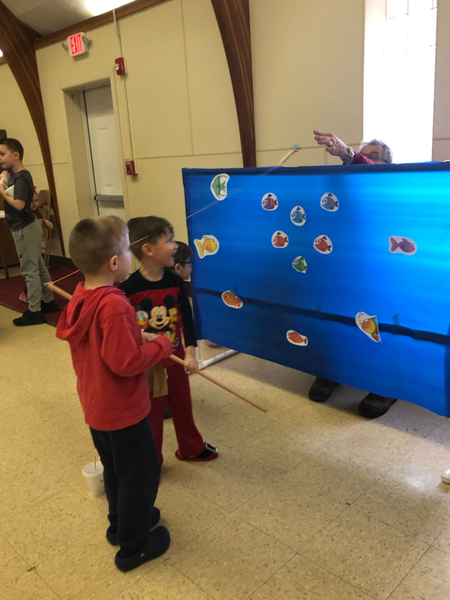 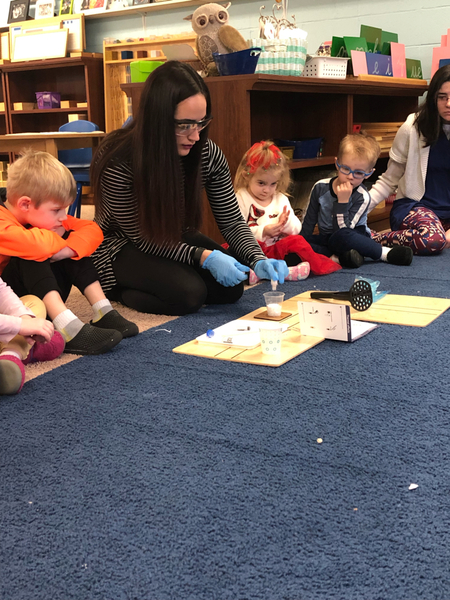 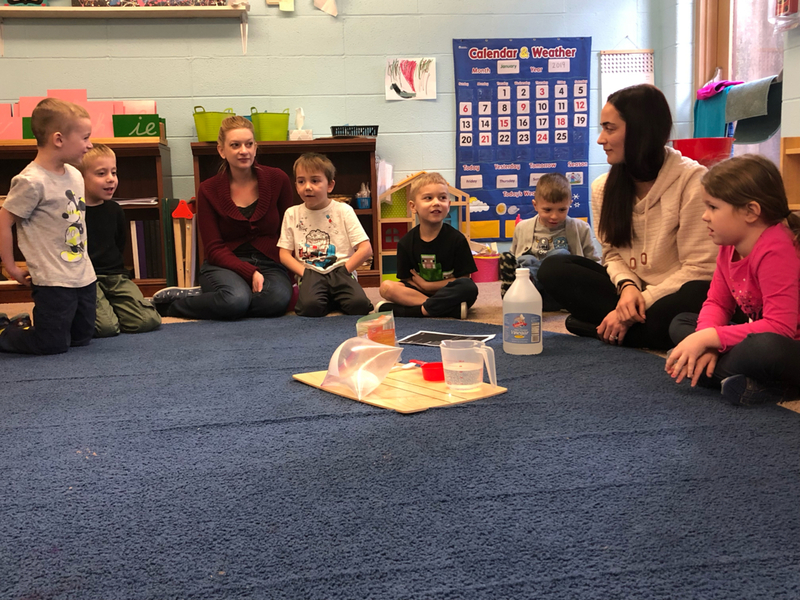 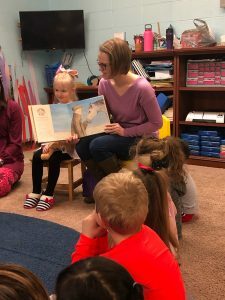 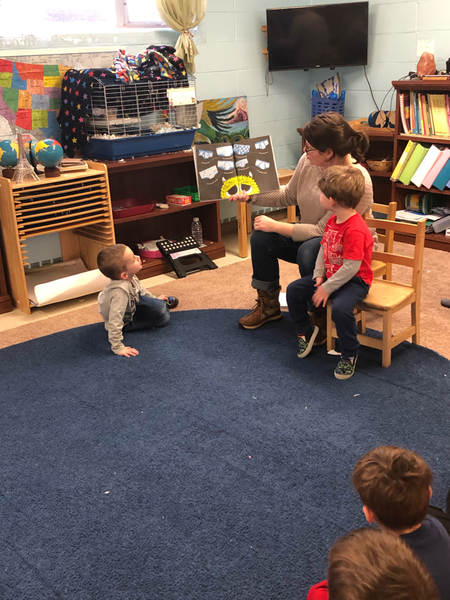 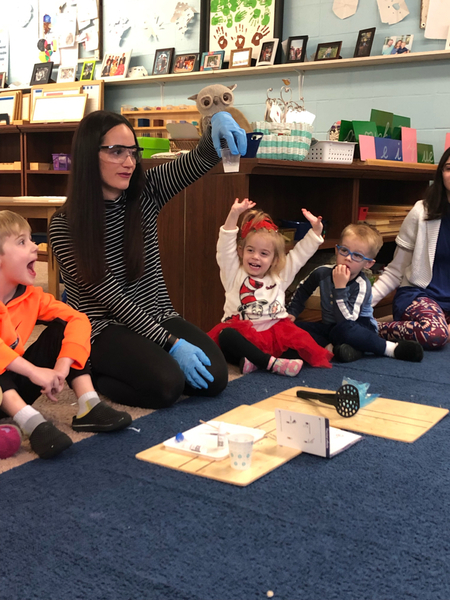 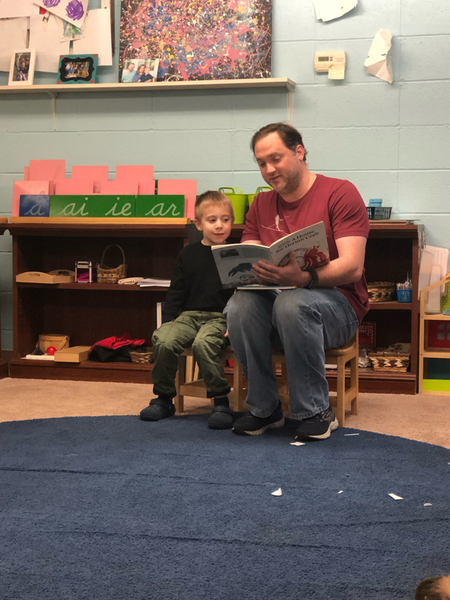 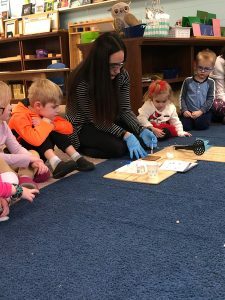 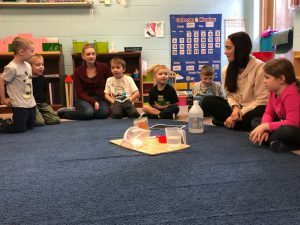 We also learned that some other animals that people commonly keep as pets are: ferrets, rabbits, birds, hamsters, guinea pigs, snakes, lizards, fish, frogs, turtles etc. 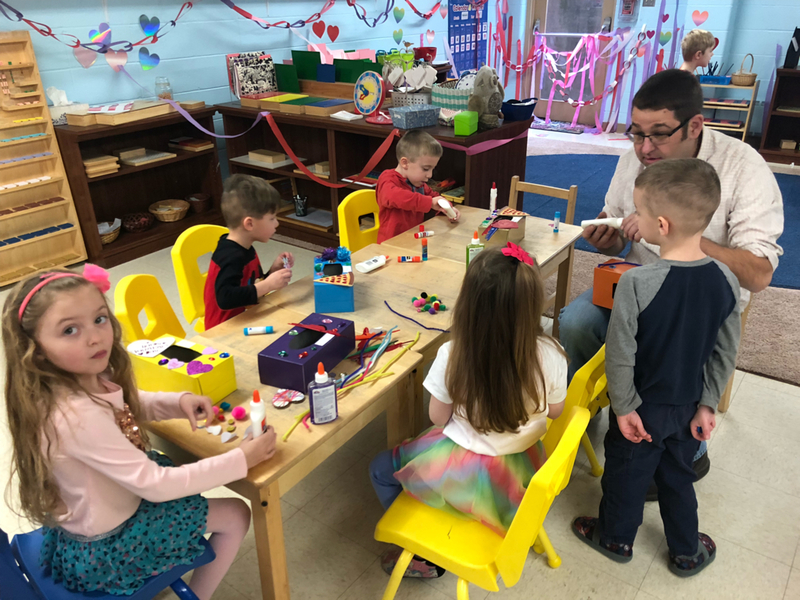 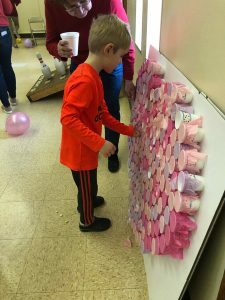 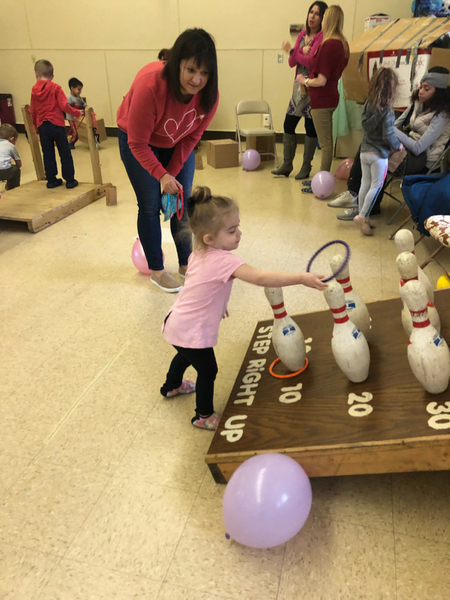 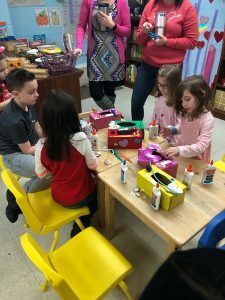 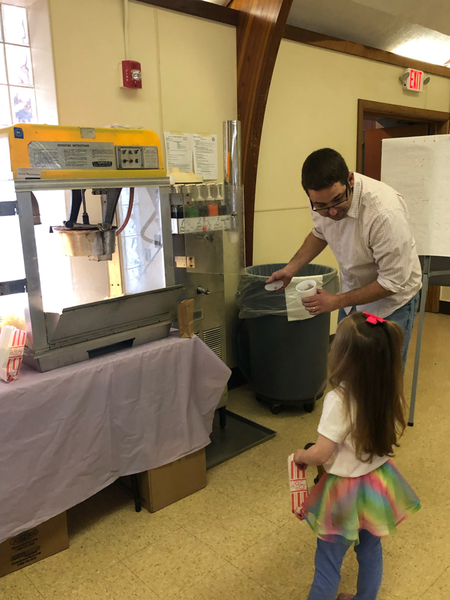 Valentine’s Day: A big thank you to all the parents that donated supplies or volunteered their time to make such a great party possible! 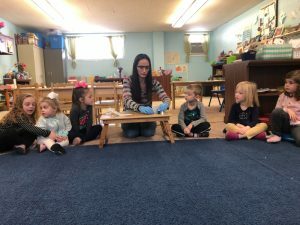 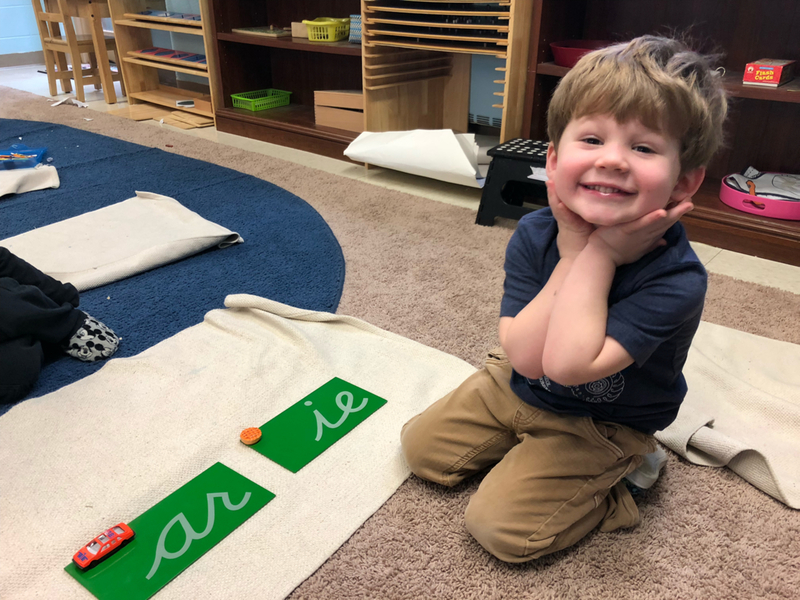 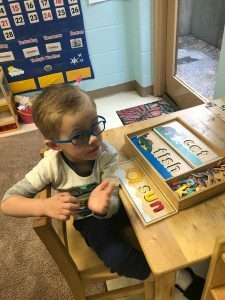 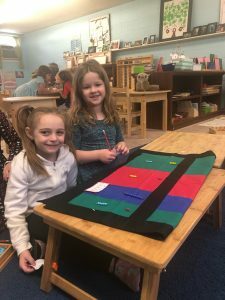 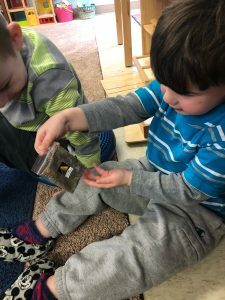 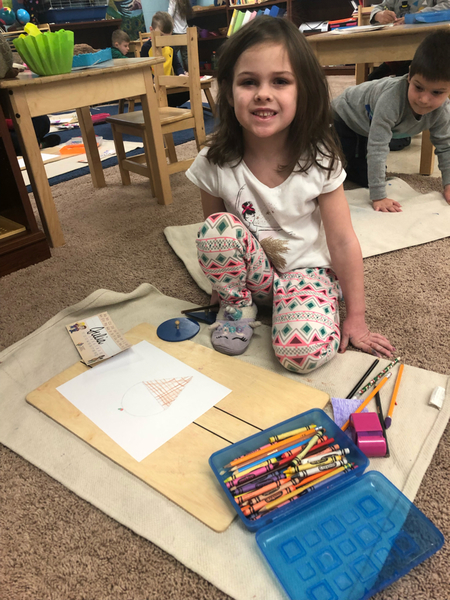 Sandpaper Letters: This child is tracing and identifying the sounds of the letters ‘a’ and ‘h’ and connecting the sounds with the sounds in different objects like apple and helicopter. An elementary student showing a primary student a bug she caught in a bug catcher. 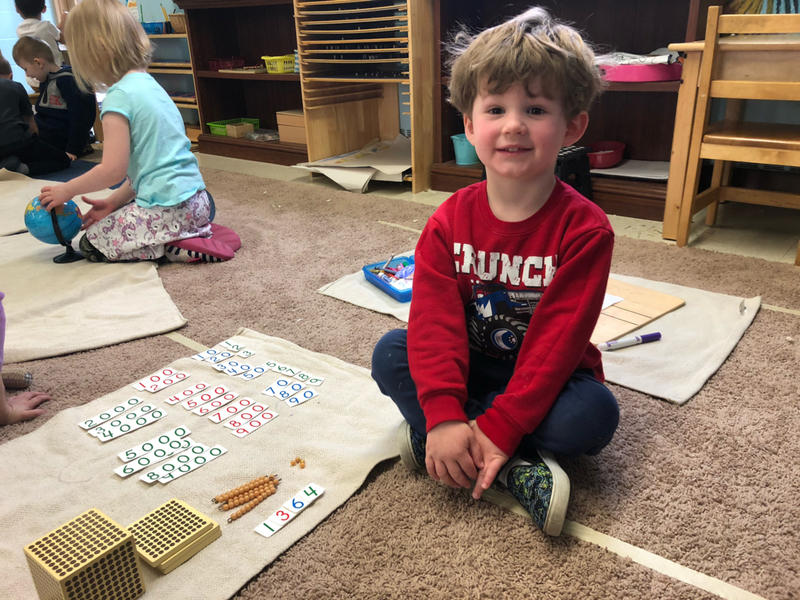 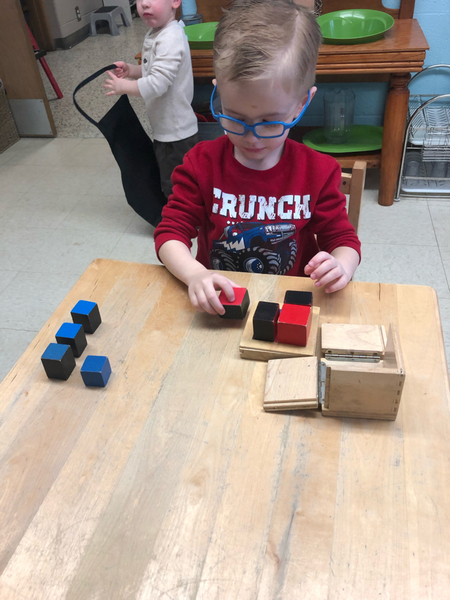 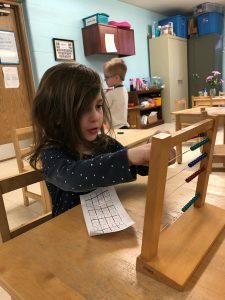 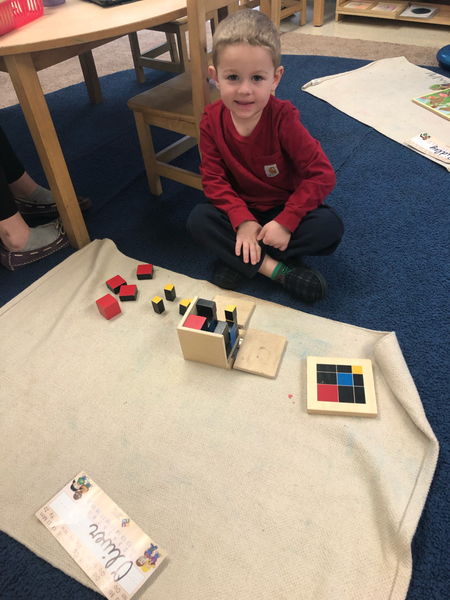 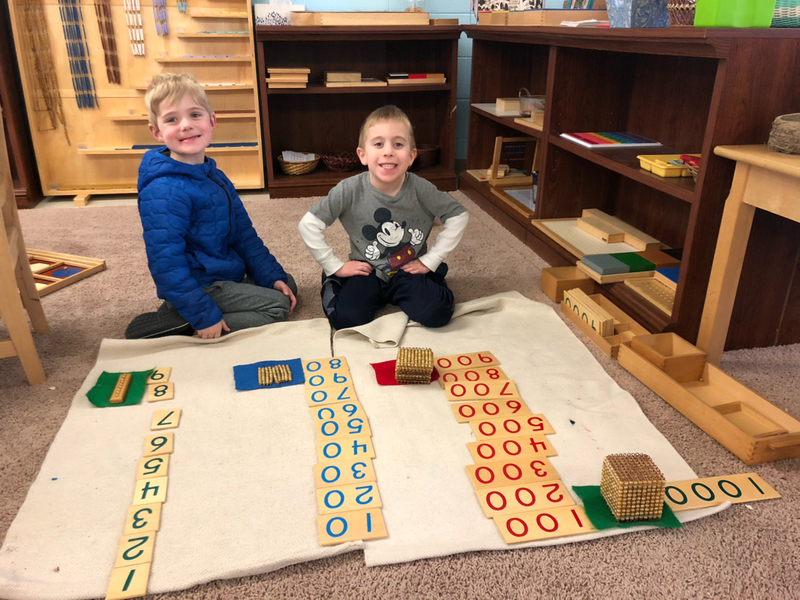 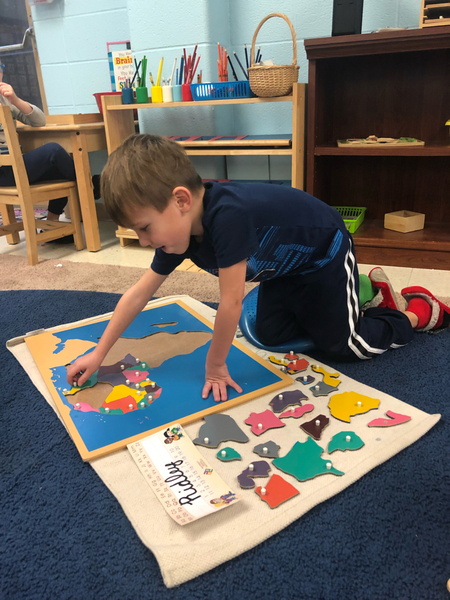 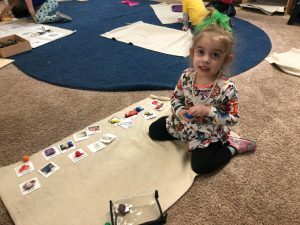 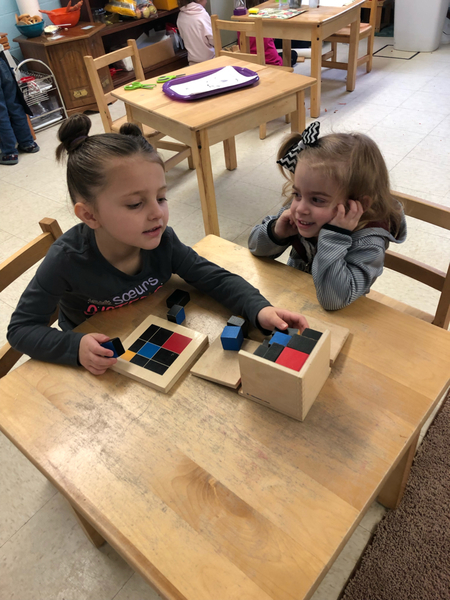 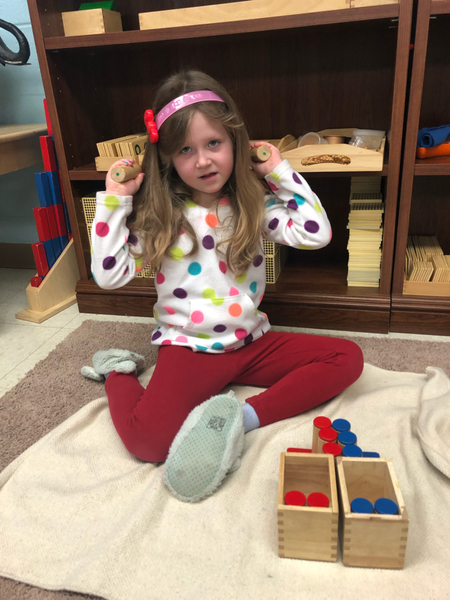 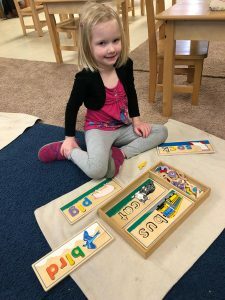 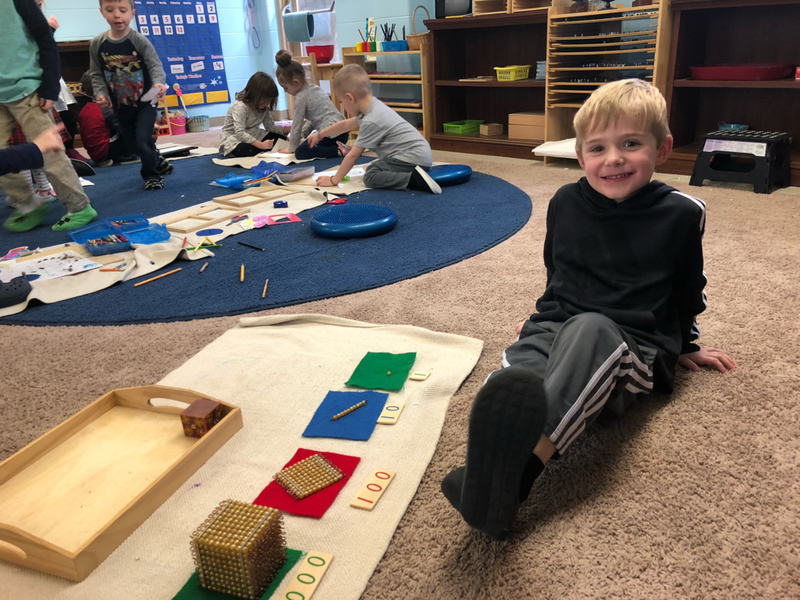 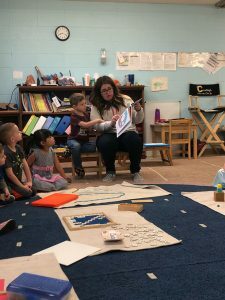 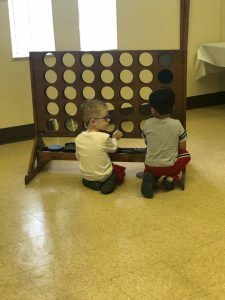 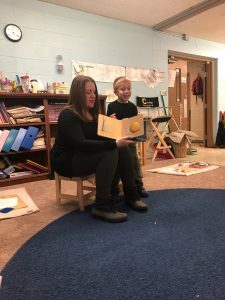 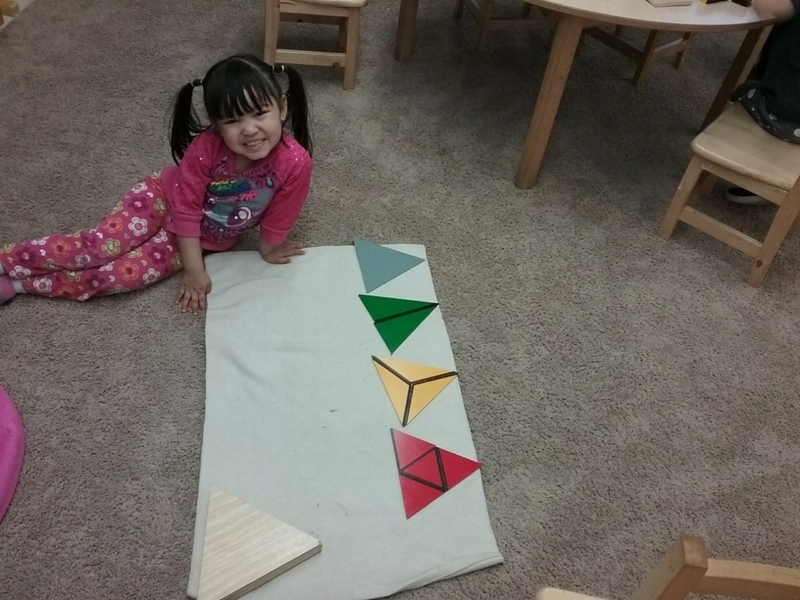 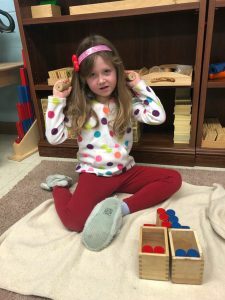 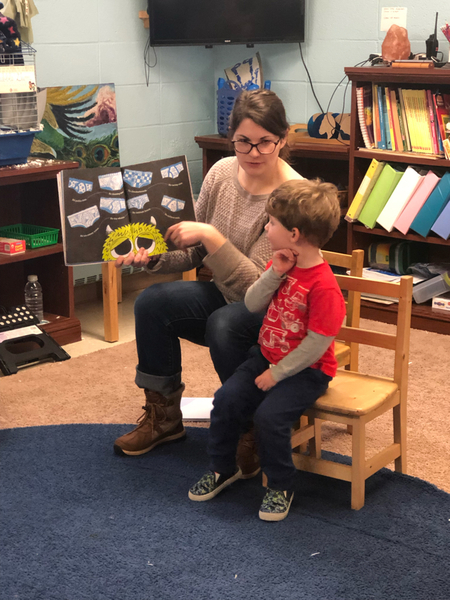 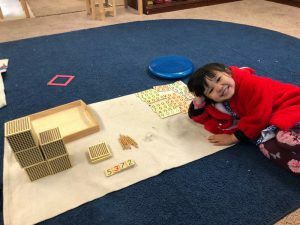 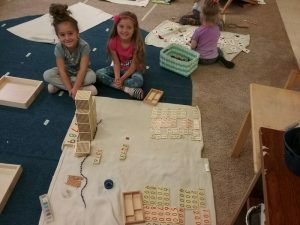 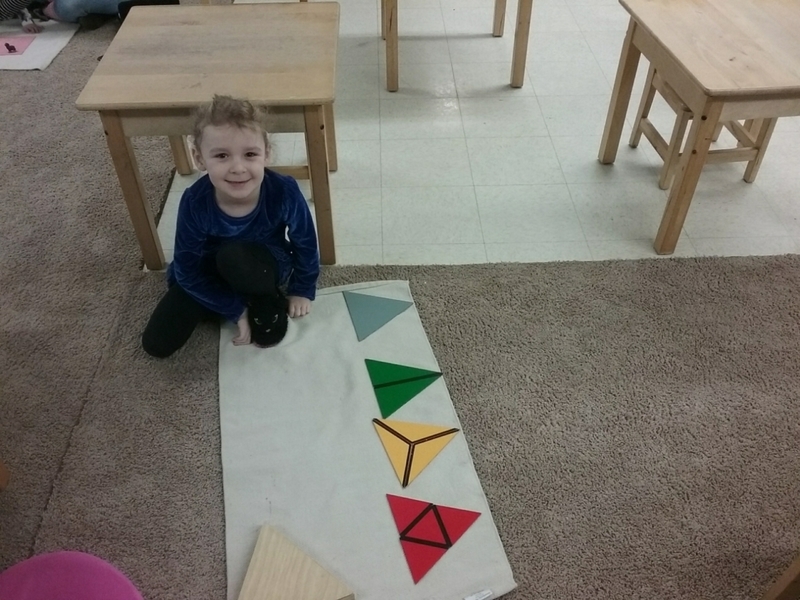 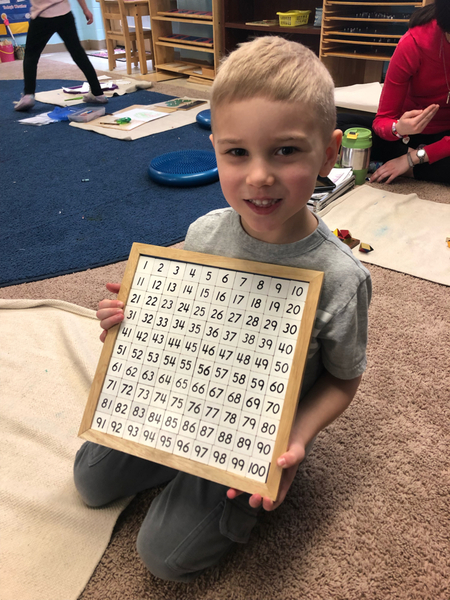 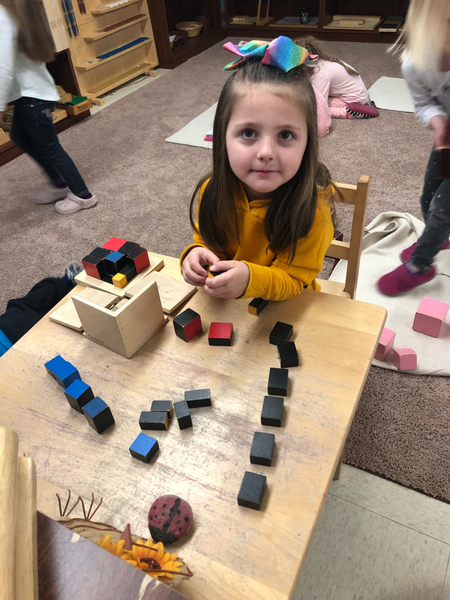 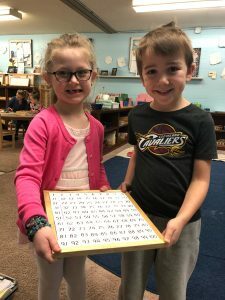 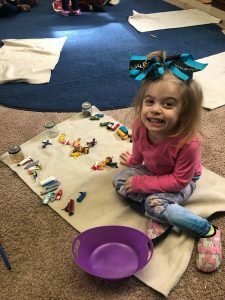 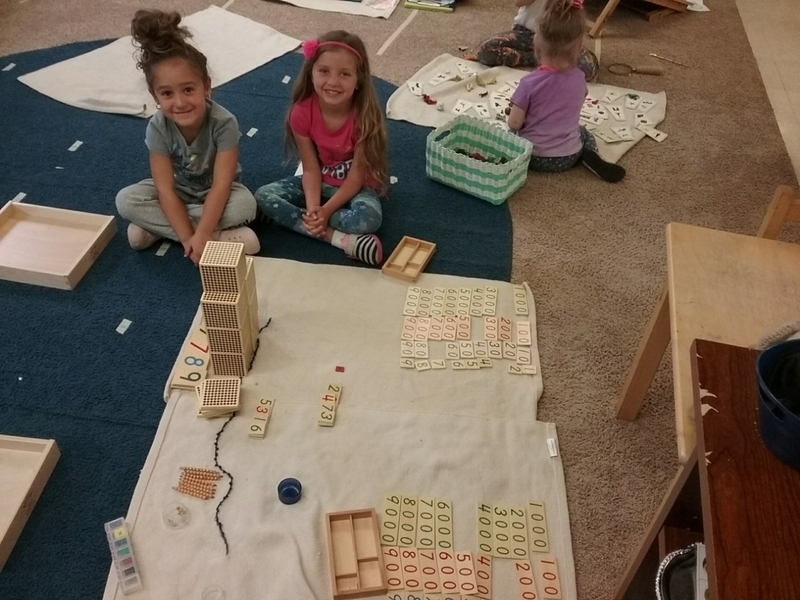 100 Board: This child is memorizing where the tiles should go and be placed on the 100 chart, while also learning to identify names of the numbers 1 through 100. 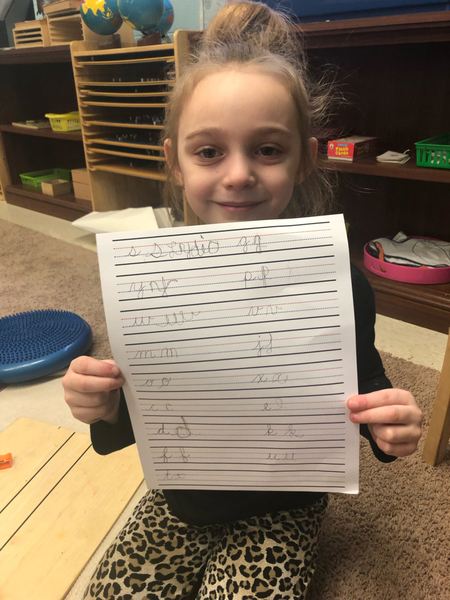 Cursive Handwriting: This child is practicing writing the lowercase cursive letters y, w, m, o, c, d, f, t, g, p, v, j, x, e, k and u. 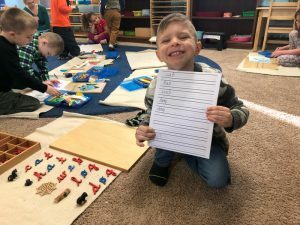 Posted on January 31, 2019 at 10:18 am. 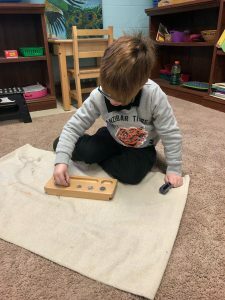 Posted on January 28, 2019 at 12:45 am.